In 1990 Misty was home alone when she suddenly heard a voice say, "Watch the 700 Club". She had never watched the program before. Realizing it was God speaking to her she turned the TV on and found the program. The host, Pat Robertson, was doing a segment on skin cancer. There were three pictures of moles on the TV screen and one of them looked exactly like a mole she had. It had been there for many years and would occasionally become irritated and bleed. At the end of the segment, Pat began to pray for people with melanoma and encouraged those with suspicious moles to seek medical attention. Misty bowed her head and prayed with him then scheduled an appointment with a doctor and discovered that she had malignant melanoma skin cancer. A few months later Misty and her family were attending a Carman concert and at one point Carman asked everyone who had cancer to stand up. 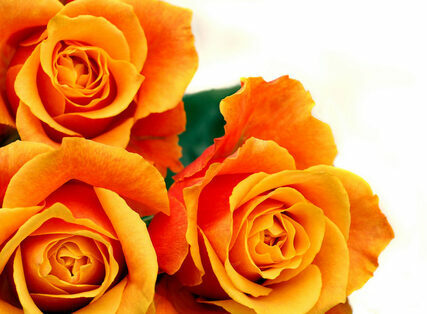 Upon standing, he then asked if there was anyone who had loved ones or friends who had cancer to stand up. Misty's family then stood. Everyone in the concert was asked to lay hands on one another. With the audience united as one, Carman began to pray with authority speaking directly to the cancer. As he prayed Misty saw a vision of a big brother beating up a bully. The bully was the cancer in her body and at that moment she knew she was healed. Immediately, God began to show Misty words with acronyms. N.A.I.L.S. 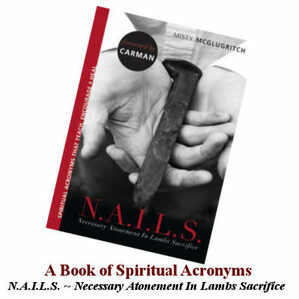 - Necessary Atonement In Lamb's Sacrifice is a collection of these acronyms. NOTE: If you have or suspect you have a skin problem you should consult a dermatologist or other professional healthcare provider immediately.